Though they just played the Flavorpill Halloween Party, The Very Best didn’t have a “proper” NYC gig scheduled until now. Barring any unforeseen circumstances, the band will be playing Santos Party House on November 4, 2009 at 9PM (Buy Tickets). The Very Best embodies a without-borders approach to music-making that could only happen in the 21st century. The band came together when Mwamwaya first met Radioclit’s Etienne Tron in 2007 while haggling over a bicycle in the London second-hand furniture shop he ran near the duo’s studio. Following the exchange, Mwamwaya was invited to Tron’s house-warming party where he met the other half of Radioclit, Johan Karlberg. Esau was asked to come to Radioclit’s studio after he told Karlberg he was a drummer. It turned out Esau was a singer too and they decided to collaborate, combining Radioclit’s vast production experience and self-described “ghettopop” style””having produced and remixed tracks for the likes of M.I.A., Lily Allen, Justin Timberlake, Santigold, Britney Spears, TV On The Radio, David Banner, Buraka Som Sistema among others””with Mwamwaya’s emotive vocal approach. 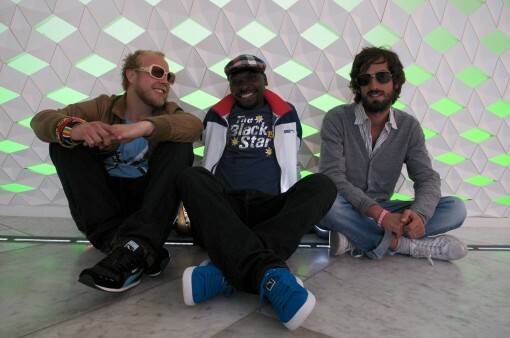 Karlberg dubbed Mwamwaya “the African Phil Collins,” and they have been recording songs together ever since. More The Very Best tour dates over here.